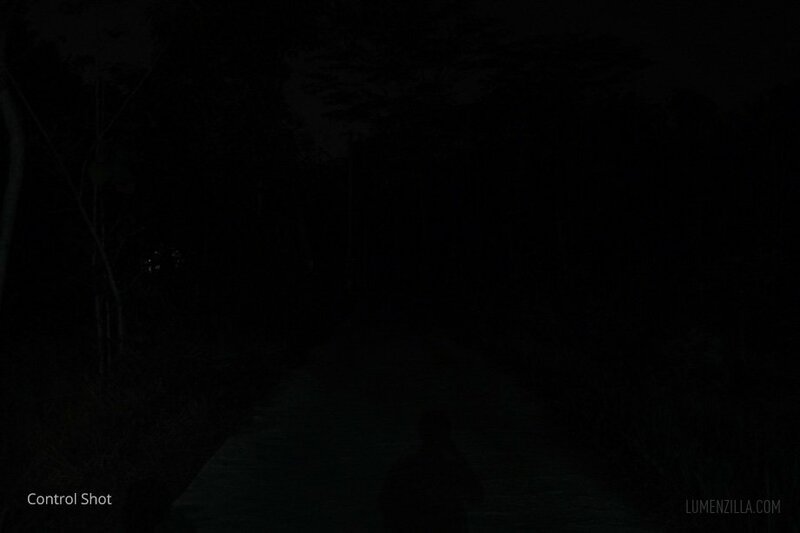 There are not so many options for 2xAA flashlights and Nitecore MT22A is a remarkable one. Shaped like an old timer radio pager, it has maximum output of 260 lumens and available in three colours: black, green, and desert brown. 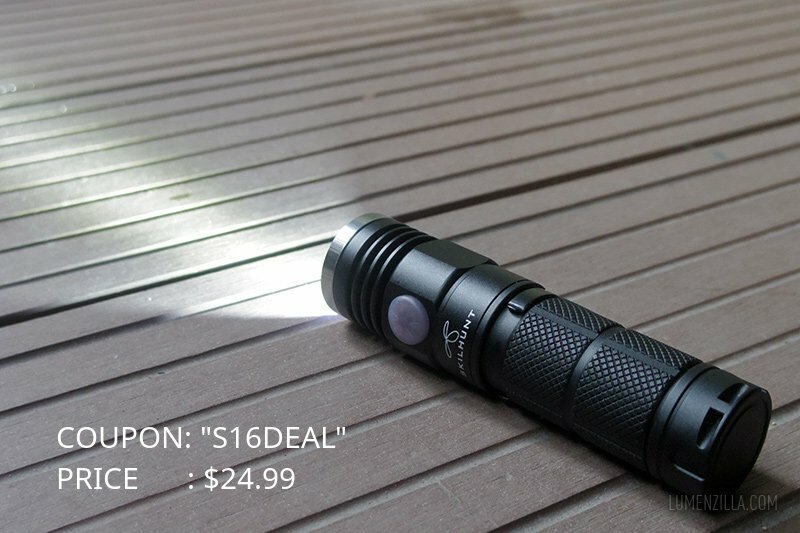 I received Nitecore MT22A sample from Gearbest (scroll to the end of the review to get the coupon) and been using it for about two weeks. 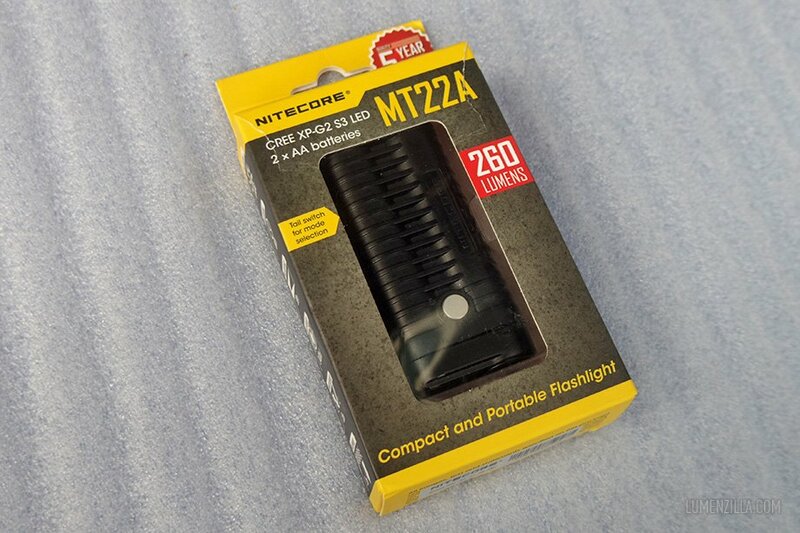 So here’s my experience with Nitecore MT22A..
Nitecore MT22A was arrive in simple packaging as following. I like this simple and easy to destroy packaging because I can toss it right away instead of keeping it in the shelf just because it look fancy or nice. Well, I have tendency to keep nice and fancy product boxes for months or years. But who doesn’t? The dimension is not usual. 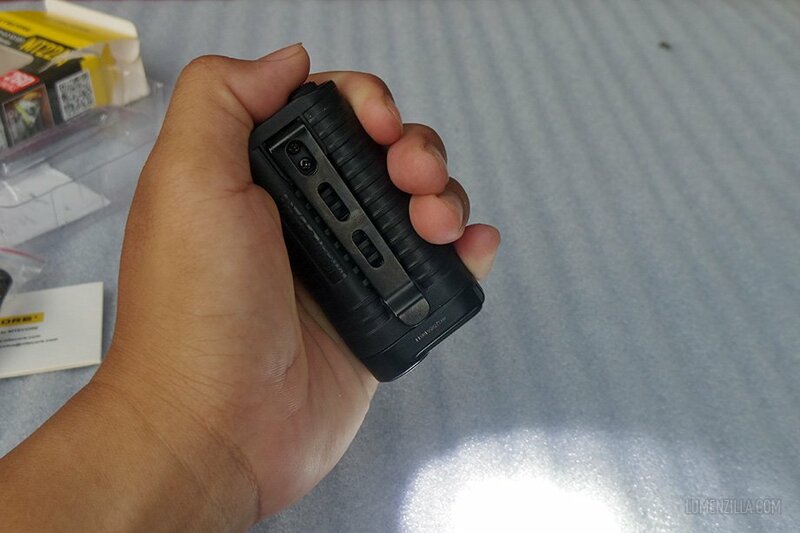 Instead of manufacturing a stick shaped flashlight, Nitecore did a nice job with the design by making it short (8.10 cm x 4.00 cm x 2.10 cm) and ergonomic. Before you got it wrong, the white circle depicted below is not the switch. It’s a pin to keep the aluminium head attached to its polycarbonate body. Depressing the pin will set the head loose. Switch is located on the opposite side of the LED direction. It’s a reverse clicky switch and a bit protruding, makes it easy to click but impair its ability to tail stand. On the other side, there’s a pocket clip secured with two screws. On my black model, the clip colour is also black. You might get different clip colour if you purchase the yellow or desert brown model. The clip is a bit thin. It can do its job but I’m not sure for how long. 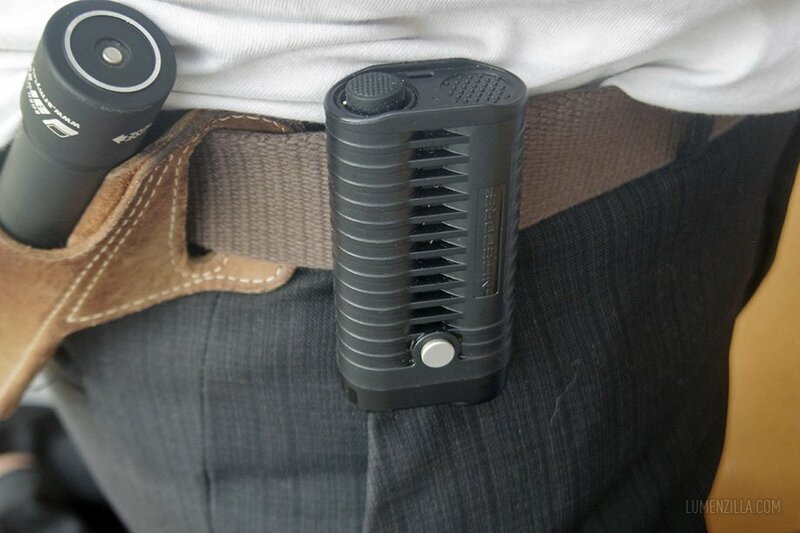 I tried attaching the clip into my belt and I feel like carrying a radio pager. Like the old time, no? Well, I never had one in the past because my hometown wasn’t covered by any pager services. To be honest, I was a bit worry carrying this way. I don’t know if the clip will bend or not so I always carry it inside my pocket for precaution. 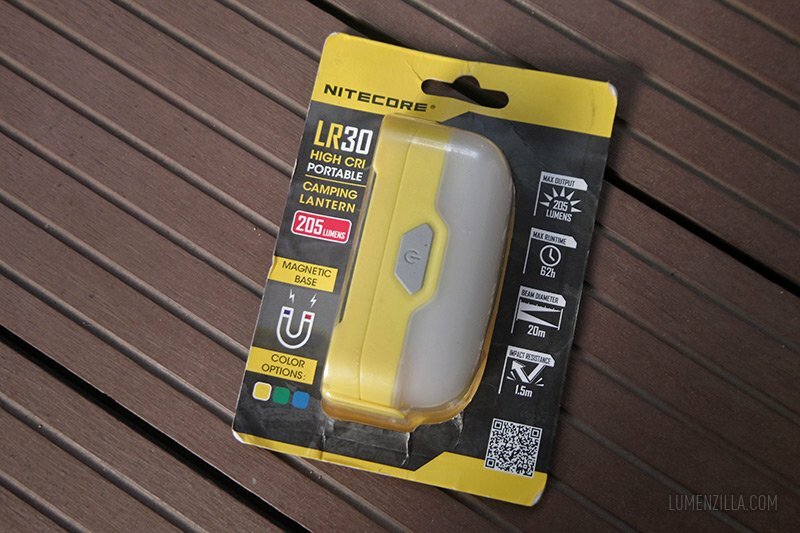 As mentioned earlier, Nitecore MT22A host/body is made from two materials. 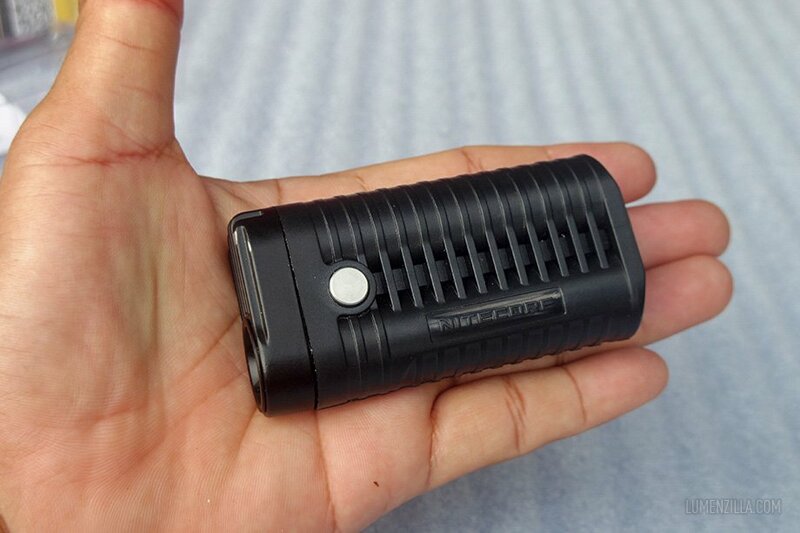 The head (where the LED and driver are installed) is made from black coated aluminum, while its body is made from polycarbonate/plastic, makes it lightweight and can be coloured from the factory. 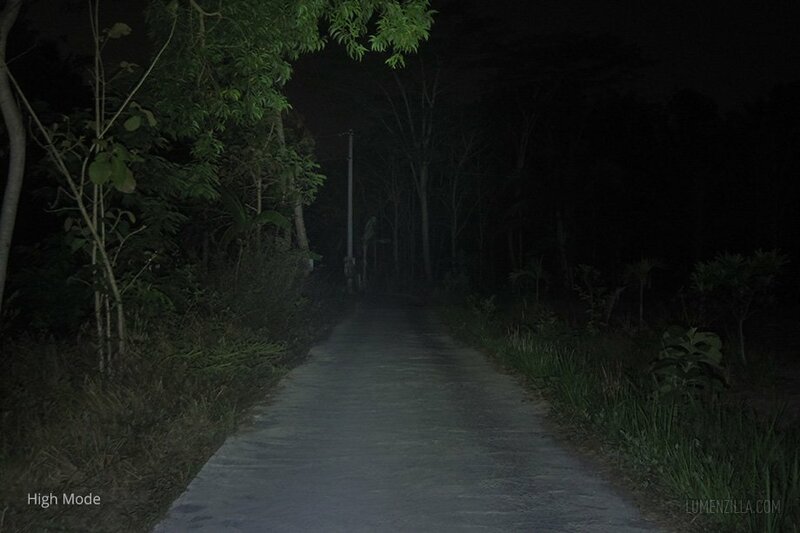 Nitecore puts a CREE XP-G2 S3 LED and smooth reflector for this product, resulting a maximum 68 meters beam distance and 260 lumens output. There are five fins on the head part for heat dissipation. Looking at its polycarbonate body, it feels strong and not cheap. The fins on the body enhances its appearance although I’m not sure if it has functional purpose. 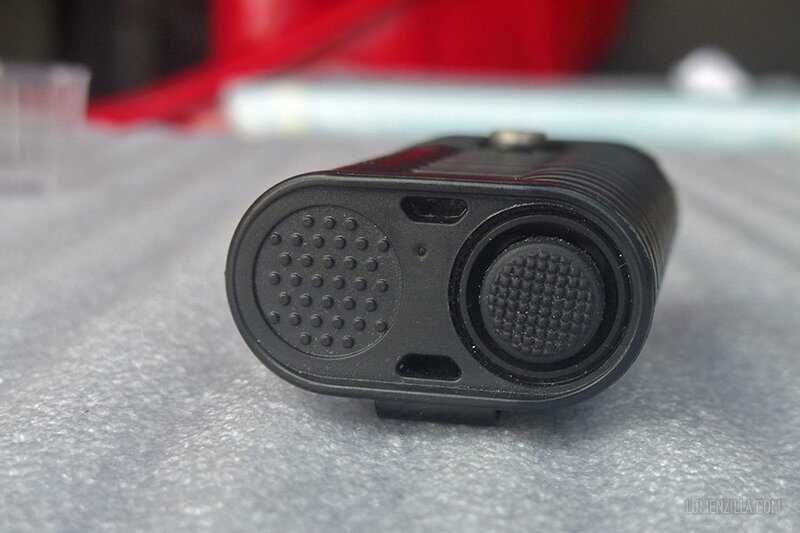 A little notation for Nitecore MT22A would be this circle metal pin which can be easily miss-identified as the operating switch. It’s a pin used to release the head part from the body. Depress the pin and the head part will be detached. It looks Nitecore create specific driver for this model because the shape is special for this design. 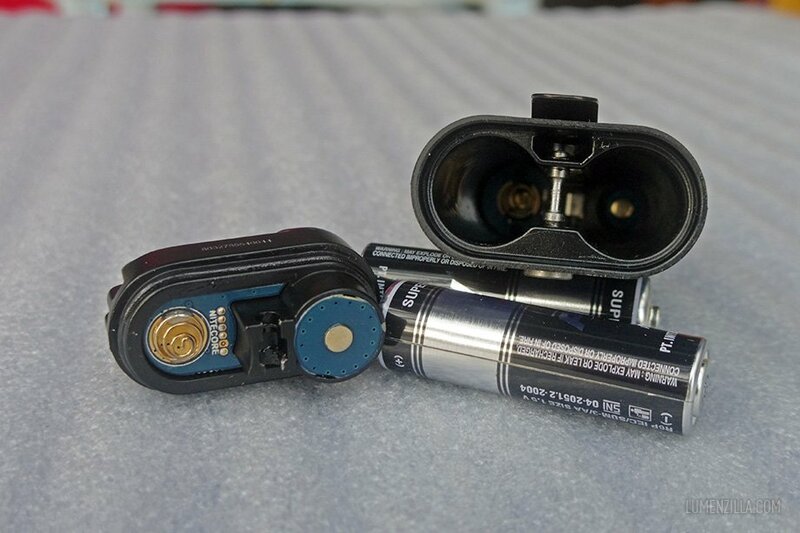 Although there are no plus and minus sign to indicate positive and negative polarity when installing battery, just follow the rule that springs always go with the negative pole of the batteries. According to the user manual, Nitecore MT22A will be at its best performance when using two AA NiMH batteries. An oval O-ring is securing the flashlight from water leakage. 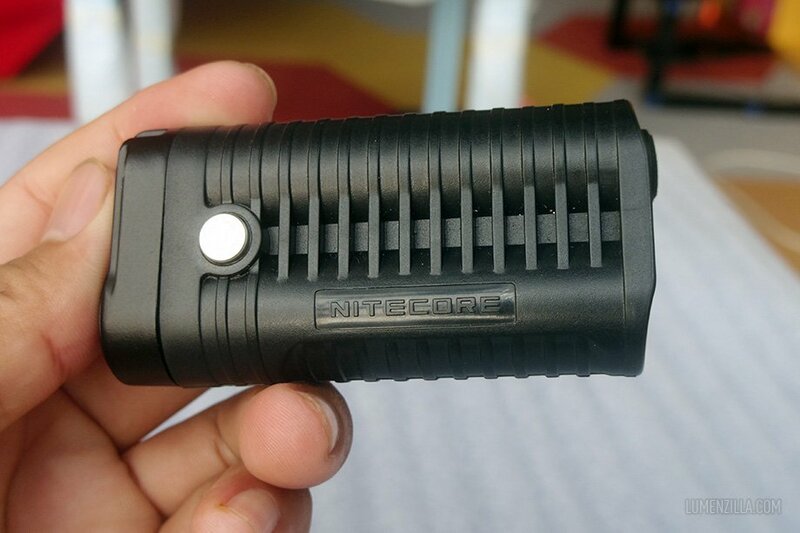 According to specification, Nitecore MT22A is rated IPX – 8 (2m submersible). Nitecore MT22A has very simple user interface. After installing the batteries in correct direction, simply depress the switch located at the bottom to turn on the light. It has four modes: three normal modes and one strobe. Nitecore MT22A will always starts in High mode and it has no memory function. When the light is on, half press the button to change the mode into Medium, Low, and Strobe. This is the benefit using reverse clicky switch, we don’t need to fully depress the switch to change modes. Following beamshot pictures are taken using manual mode on Pentax Q. Aperture 0,5 sec; f/1,9; ISO 250. 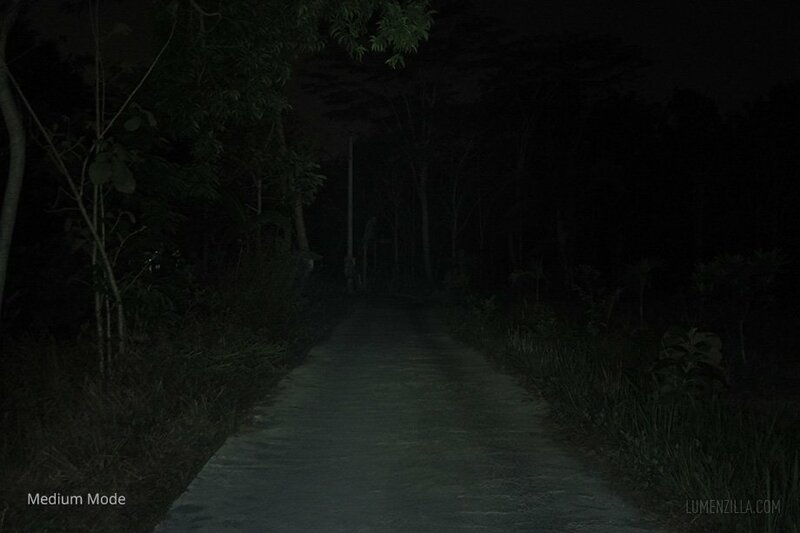 Distance of camera (and flashlight) to the electric pole at the end of the road is about 60-63 meters, or roughly 200 feet if you’re in America. 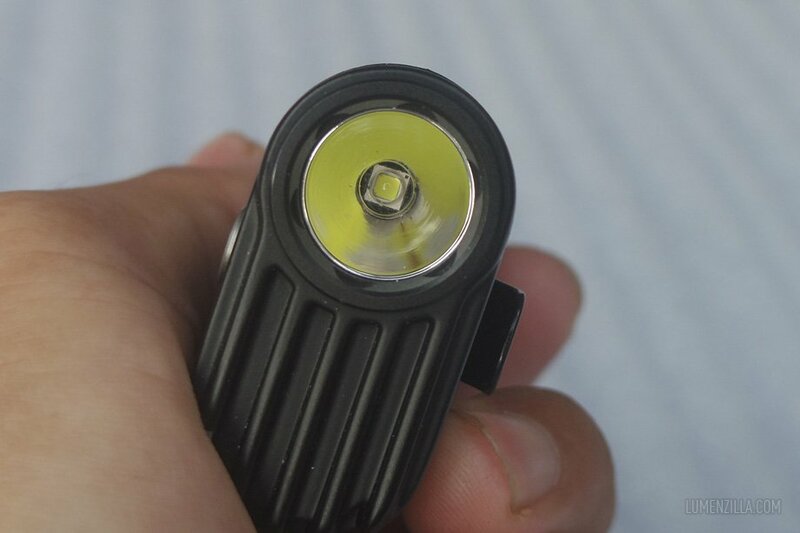 Nitecore MT22A is a remarkable flashlight in term of design. 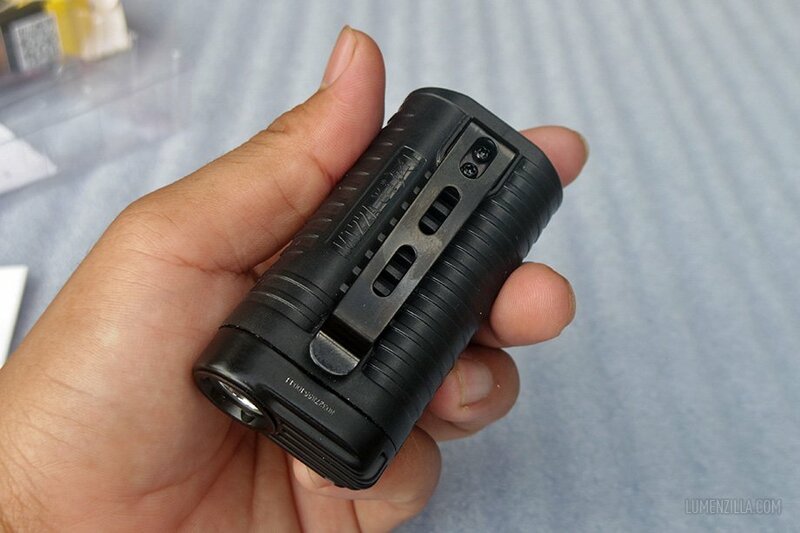 The ease of its user interface and the battery option makes this flashlight suitable for both flashaholic and muggle (non flashlight person). The release pin can be miss-identified as side switch. 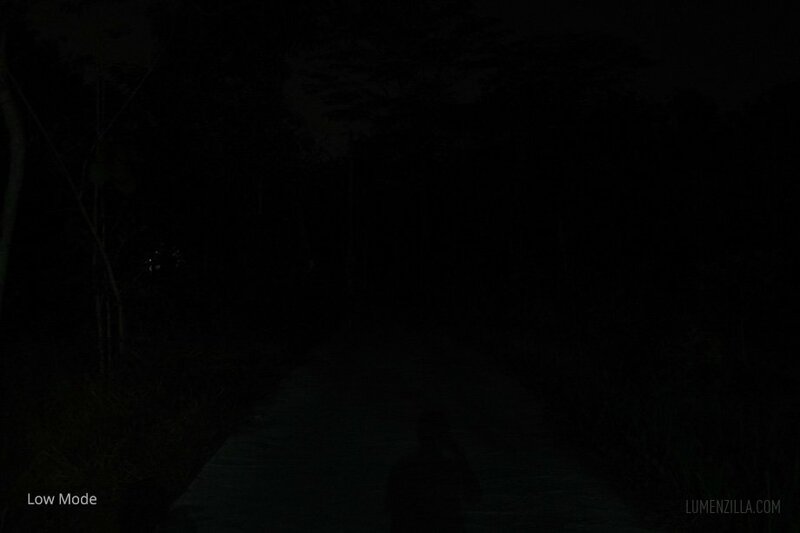 Strobe mode is not hidden. 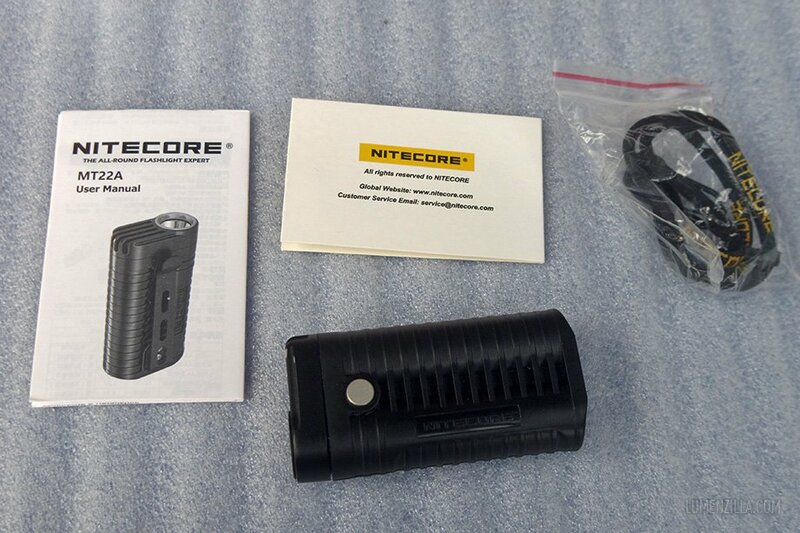 Nitecore MT22A is available several online stores. If you’re going to buy from Gearbest, use coupon “IT$LEDMT22A” to get several dollars off.